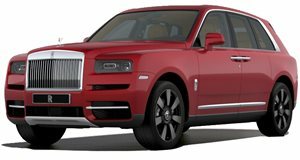 Rolls-Royce has finally made its first foray into the lucrative luxury SUV segment with the . It’s easily one of the swankiest SUVs ever made, with a ludicrously luxurious interior, sleek design language, and a twin-turbo 6.75-liter V12 under the hood that develops 563 hp and 627 lb-ft of torque. At $325,000, the Cullinan isn’t exactly cheap – and that’s before you start exploring the extensive options list. If the Cullinan still somehow doesn’t satisfy your needs, German company Klassen is offering a stretched and armored version of the SUV that costs an eye-watering $2 million. Shown in design renders, Klassen has added an extra 40 inches to the length of the Cullinan, resulting in an enormous wheelbase of 250 inches. Longer rear doors have also been added along with a raised roofline and new options such as panoramic glass roofs. The interior can also be further enhanced with a Bang & Olufsen sound system, luxurious partition walls, a new multimedia center, and ambient LED lighting. According to the sales listing on , “all relevant functions” can be controlled with an iPhone. The modified Cullinan is also armored and benefits from Level 7 or Level 9 ballistic protection. According to Klassen, the stretched and armored SUV will be completed in six months after an order is placed. Alternatively, the company already has stretched versions of the Mercedes-Maybach S-Class, Range Rover Autobiography, Bentley Bentayga, and Mercedes G-Class available to order on its if you can't wait that long.